The Sharing from the Heart Blog Hop is a mixture of Close to My Heart consultants and customers who have come together to share their projects. The hop makes a circle so if you have started here, just continue until you make your way back. 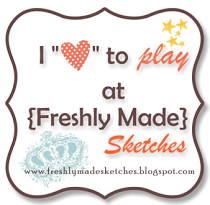 If you are coming from Tamytha’s Blog, then you are on the right path. Supplies used are all CTMH: Dreamin’ Paper Packet, Harvest Happiness stamp set, Bronze Glitter Glitz, and Goldrush, Cocoa, and Pacifica inks. I chose Fall Flair for the card I made this month. The Dreamin’ paper is my favorite for this catalog cycle! 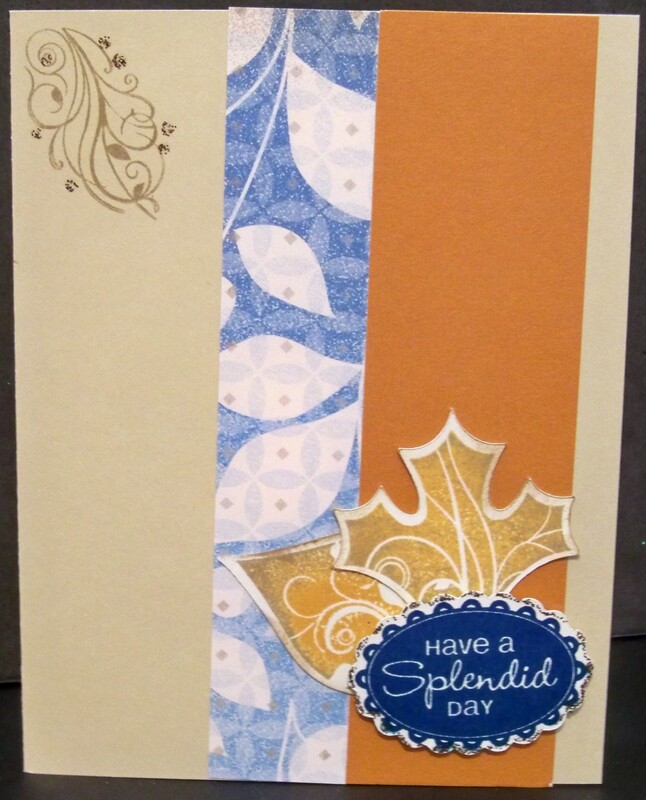 It’s clearly a fall theme and the stamped flourish adds flair. Your next stop is Diana’s Blog. If you get lost along the way, there is a list of all participants HERE. Wendy K.       <----You are here! 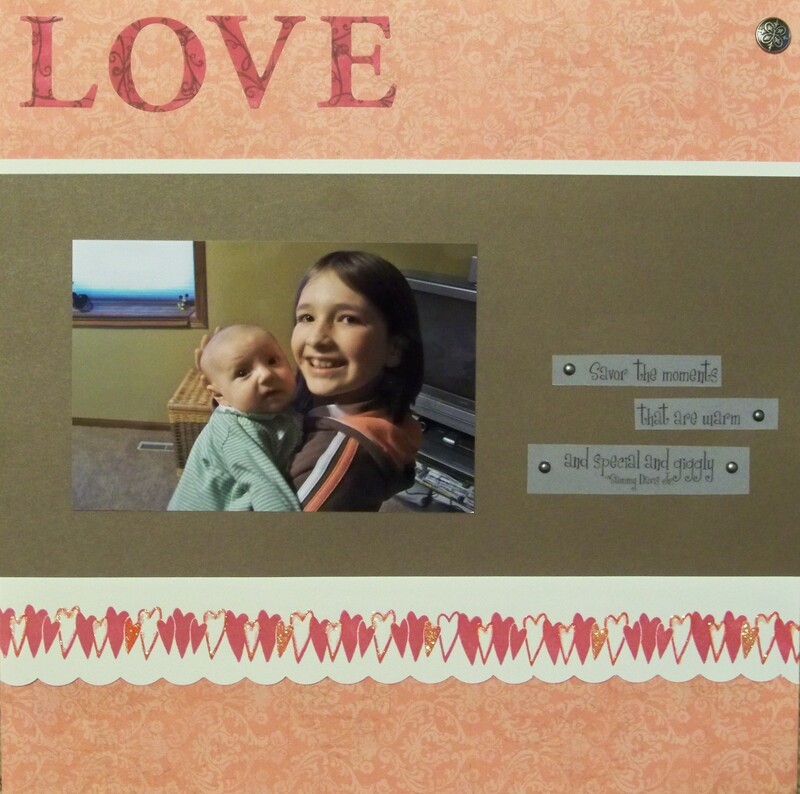 This is my layout for the October Quote Challenge at Scrap Our Stash. I used a quote from a DCWV Quote Stack. I cut it into strips to add more detail. Because it was vellum, I used brads to attach it to my background. They match the Decorative Brad in the top right corner. For the LOVE title, I used the Oxford Color-Ready Alphabet stickers. I inked them in my first color and then stamped them with the flourish pattern, creating beautiful, original letters for my layout. Near the bottom of my page you will see a stamped border. To add more detail, I outlined some of the hearts with Liquid Glass, covered with Prisma Glitter, and let dry. I just love Prisma Glitter because it works over an color and it is so sparkly!